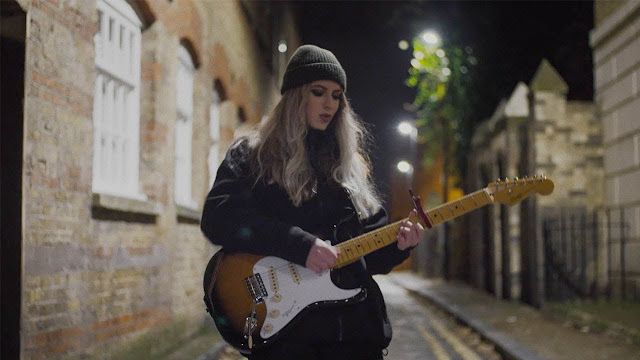 21-year-old singer/songwriter Tally Spear has unveiled the visuals for her latest single Just Don’t Know. I am loving this folksy-pop track! The way she tells a story combined with those guitar works and infectious melodies won me over from the very first listen! Watch the visuals below! Tally has spent the last year building her name on the live circuit and earning critical applause her compellingly addictive and insightful folk country driven pop compositions. If you're a fan of artists such as Jewel, Joni Mitchell and Zooey Deschanel, than you'll love Tally. This creative setting fuelled her love of words, using songwriting as a way to cope with her battle against insomnia and an anxiety disorder. While her melodies may be bright and breezy, behind the blissful beautiful of her pop songs are moving lyrics that offer insight into the complexities and intricacies of the human mind.